Have you ever done something that you wish really really didn’t happen but alas it did? Well, since weird stuff is always happening around us it’s no surprise anymore when it does and we just kinda roll with it. 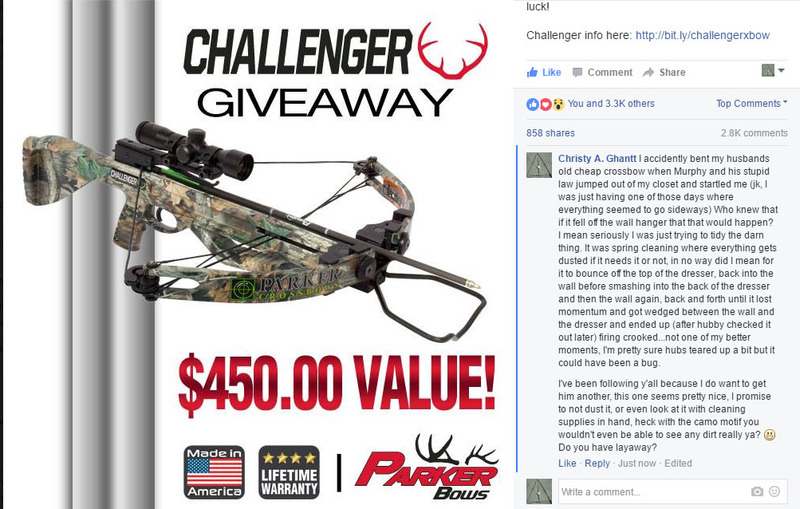 Anyway so Parker Bows is doing a giveaway on their FB page and all you had to do is like and comment to be entered and so I thought it was time to fess up to what happened to Dave’s crossbow a couple years ago.